This stunning begonia will add color and texture to your shade garden and containers. 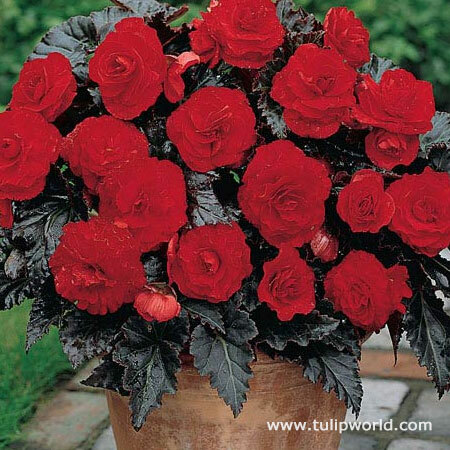 Switzerland Begonia featured deep rose red blooms, against dark bronze green foliage. Plant 3 of these begonias in a 10" pot for maximum effect and 5 of these begonias in 12-15" diameter containers for a robust look. The bulbs came healthy and they started sprouting right away for me. I have always had good luck with Tulip World begonias. Good value and good product.